Is This Why My Dog Eats Better Than I Do? Dogs can be as finicky eaters as people can be. Maybe it’s a matter of taste. I have some friends who simply will not eat some the foods I love and of course, vice-versa. Sometimes when a friend recommends a dog food that her dog absolutely loves I’ll get it for my dog and he’ll just turn up his nose and walk away. Go figure! But everyone knows that fruits and vegetables are good for us. But what about for our dogs? Snacking on vegetables and fruits is not only healthy for humans it’s great for dogs too. Eating vegetables and fruits has much of the same benefits to dogs as they do for humans (extra vitamins and minerals!). However, dogs do have different digestive systems than ours so not every fruit and vegetable is good for them. With that in mind, we’ve compiled a short list of foods that your canine companions will love. As with everything moderation is key. In the case of fruits, your dog can have too much of a good thing and end up with a stomach ache or diarrhea from eating too much. Fruits also contain natural sugars, so they should be fed to your dog sparingly in order to avoid problems with their teeth, weight, and blood sugar levels. And remember, you can always check with your vet or a vet nutritionist if you are wondering how much is enough for your dog. 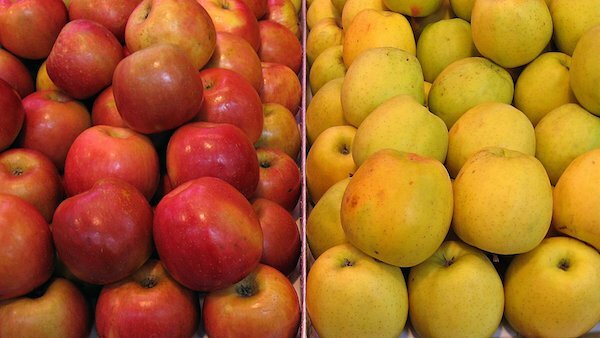 Apples are a good source of fiber, as well as vitamin A and C. They also help keep a dog’s teeth healthy as apple helps to clean off residue. Remember to always remove the core and seeds, as they can be a choking hazard and, more importantly, the seeds contain cyanide, which are poisonous. Note: most fruit seeds contain cyanide and should be avoided. Watermelon has plenty of beta-carotene, vitamin A and vitamin C, all of which are good for your dog’s immune system. 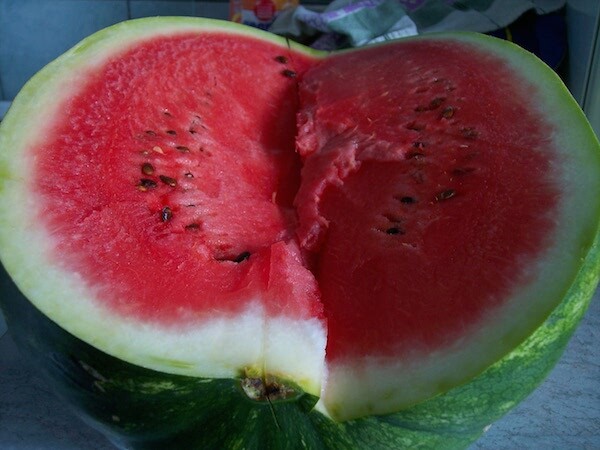 Watermelon is also high in water, which makes it a great treat on a hot day. 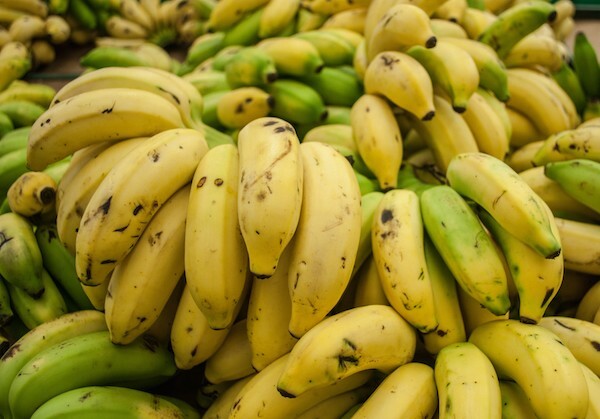 Bananas are rich in potassium and vitamin C. Potassium helps to regulate enzyme function and maintain the health of nerves and muscles as well as helping to regulate fluid balance in the body. But don’t feed too much to your dog, as they could end up consuming potentially dangerous levels of potassium and carbohydrates. One inch of a banana offered daily is fine for most medium and large dogs. 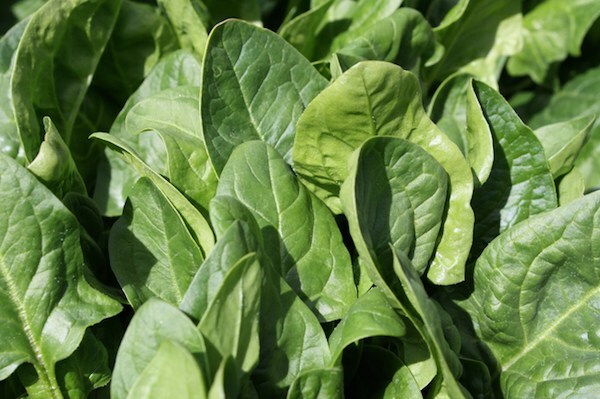 Spinach is not only high in iron, it also contains calcium, which is great for healthy bones. Spinach also contains anti-inflammatory/anti-cancer properties by way of flavonoids and carotenoids. 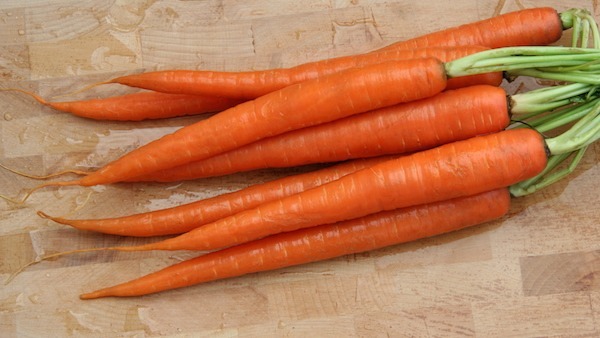 Carrots are a great crunchy treat for dogs that naturally clean and polish their teeth. They contain beta carotene, which helps keep a dog’s coat healthy. Beta carotene is also a powerful antioxidant which helps protect against cancer and aging. 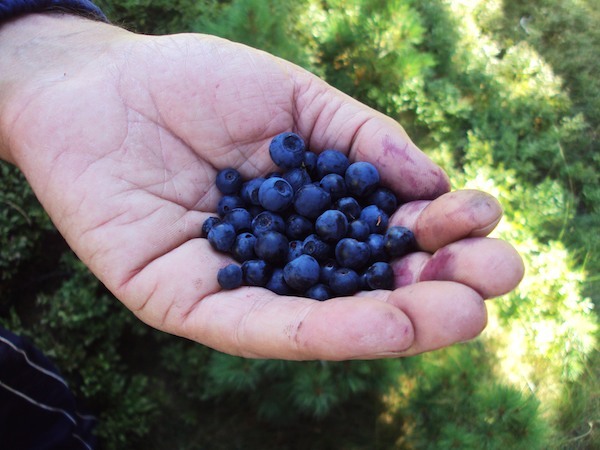 Blueberries are increasingly popular in commercial dog foods. Blueberries provide the same health benefits for both dogs and owners, but it’s best to not give your dog too many. Your dog have bad breath? Parsley may help with that. Next time you’re feeding your dog add some chopped parsley on top or add it to your favorite dog treat recipe. 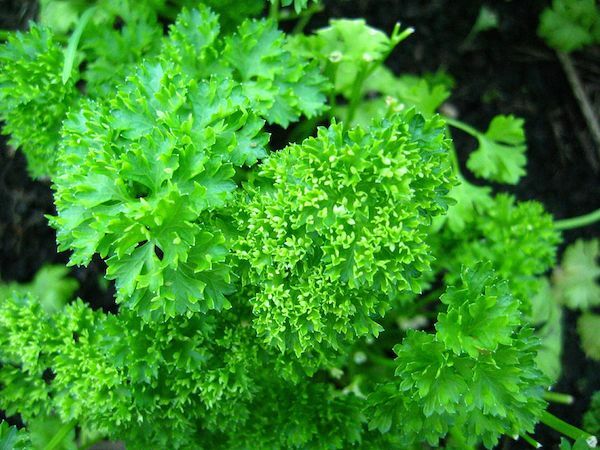 Parsley is also a source of calcium, potassium, and beta-carotene. 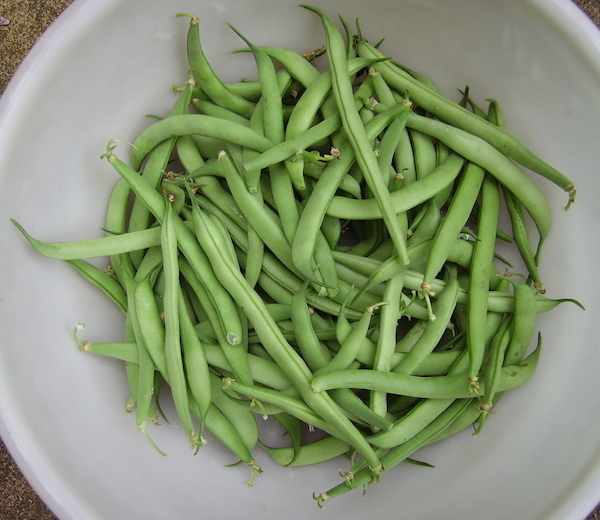 Green beans are a great low-calorie snack for dogs, especially dogs needing to shed some pounds. They’re nutritious and a good source of fibre too! 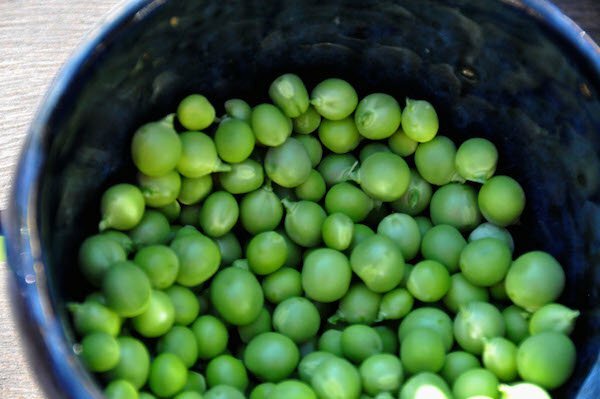 Peas are great for vitamin B, potassium and Thiamin, and like green beans, are a good low calorie snack. Try them frozen and raw or sprinkled on top of your dog’s dinner. 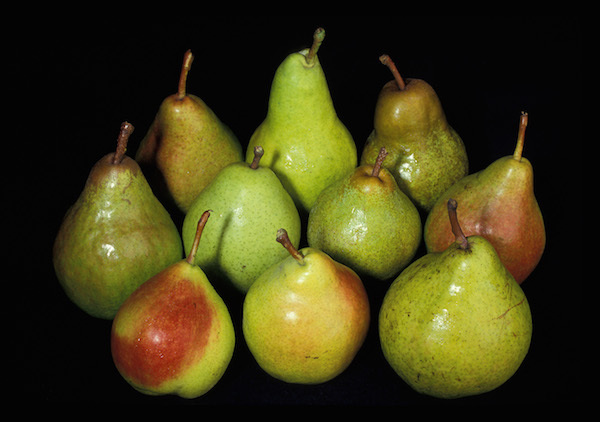 Pears make for a nice occasional sweet and juicy treat that’s good in fibre. Just like with apples, their seeds and core should be removed. 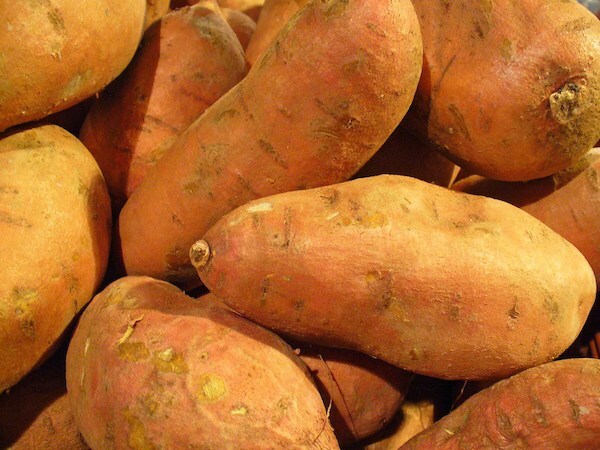 Baked, boiled or dehydrated, sweet potatoes are a regular staple in many store-bought dog foods and dog treats. It’s their high amounts of amino acids and vitamins and excellent amount of dietary fibre that make them so popular. Not only are they a great ingredient to include in baked treats, they’re great sliced and dehydrated too. 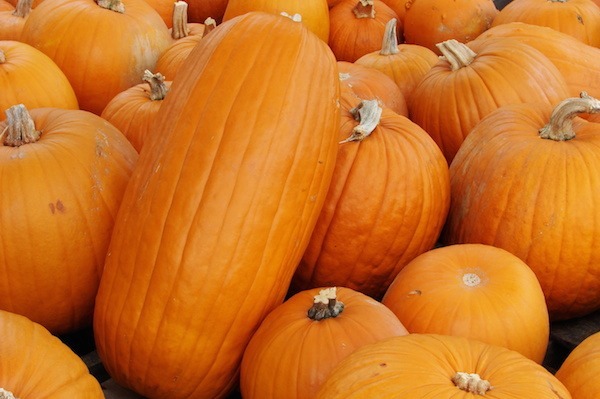 Cooked pumpkin is a great source of fibre and beta carotene for your dog. It also helps a dog’s gut and GI tract stay healthy. Not only does it help with diarrhea it helps with constipation too. So adding a spoonful of canned pumpkin to a dog’s meals or adding it to a dog biscuit recipe will help keep your dog “regular” with his/her potty breaks. Of course there are lots of other fruits and vegetables dogs love to eat, so feel free to experiment with other foods but please make sure they’re not harmful or toxic first!